When I was a nanny I was always looking for healthy and easy after school snacks to feed the kids that they would enjoy. 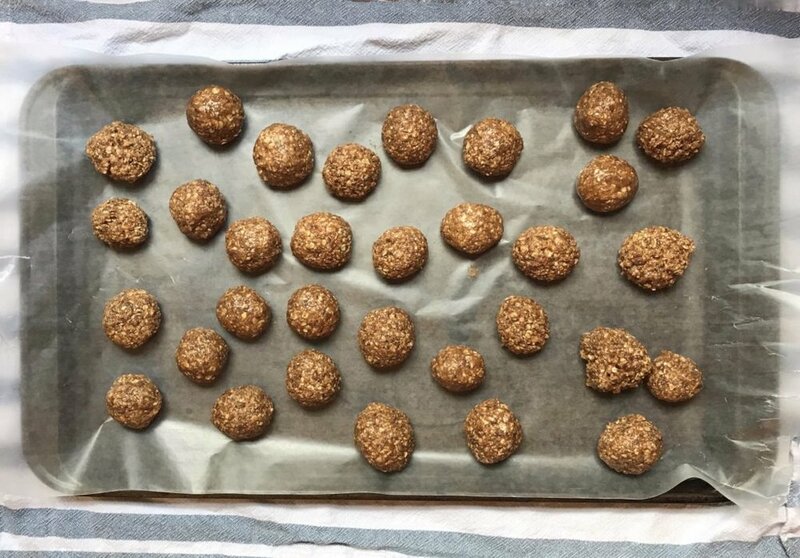 I found energy ball recipes on Pinterest over the years and let me tell you, I have tried them all! When I saw Mallory Ervin making them on Instagram I knew it would be a great recipe, so I tried her version ASAP with what I had in our cupboard and YUM! This recipe is inspired by Mallory's friend, Alex White, who has a Nashville company called Milk and Honey Food Co. So my version is an inspired version of an inspired version, but... still delicious! In order to keep the recipe as sugar-free as possible, I use Hershey Sugar Free chocolate but you can use whatever you want to sweeten it up - try them with nuts, coconut - get creative! These delectable little treats are not only good for kids, they are also awesome to take to new moms. 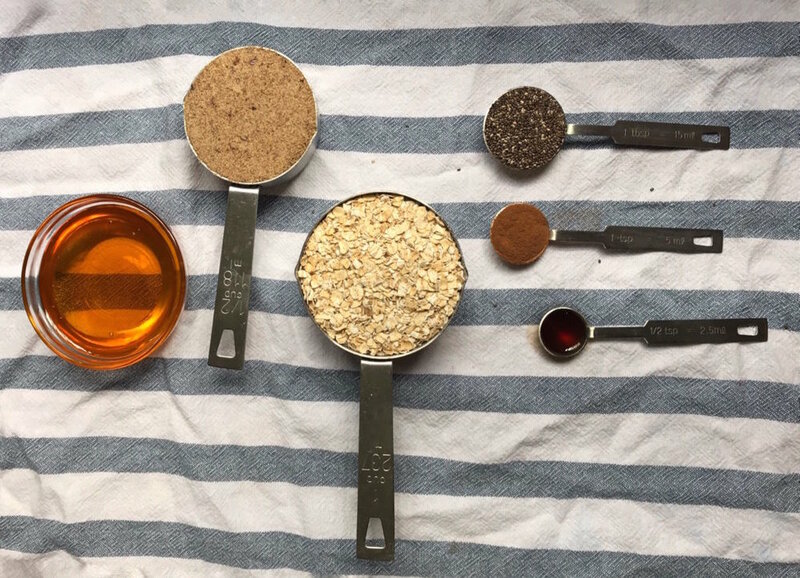 The oats in them may help boost milk supply and chia seeds and flaxseeds are not only a rich source of fiber, protein, calcium, and magnesium, but also have a high omega-3 fatty acid content. If you are taking a meal to a new mom, I advise popping some of these in your care package!